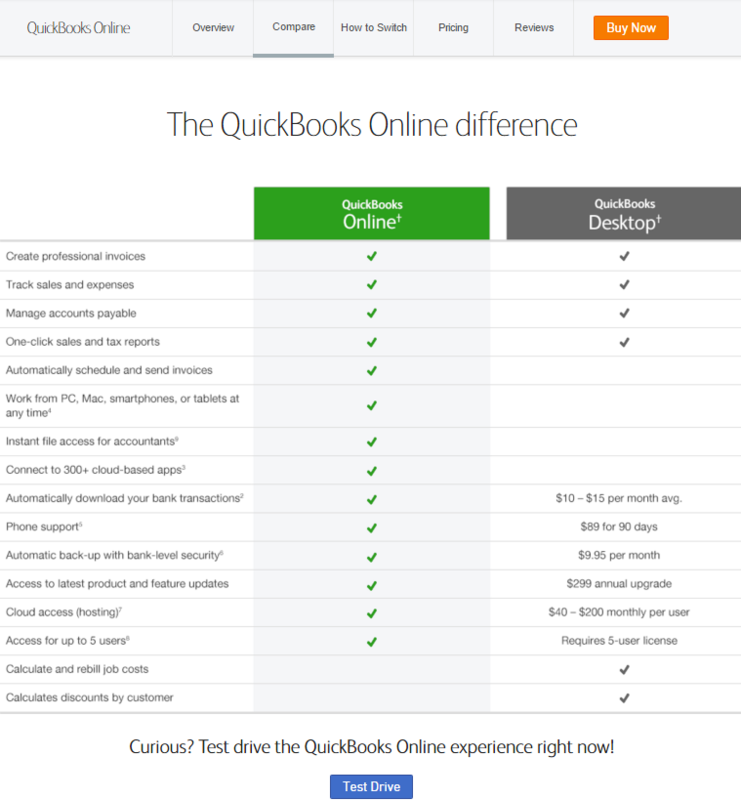 QuickBooks Desktop (Windows) or QuickBooks Online? What Is the Difference? To give an answer is to be put in a quandary. You may as well ask, “What is the difference between the Windows operating system and the MAC operating system?” They both do the same thing – operate our computers – just differently! Intuit’s QuickBooks desktop software has been one of the staples of accounting software for small- to mid-sized businesses since the late 1990s. It has grown, and new-and-improved features and images have been updated annually since then. 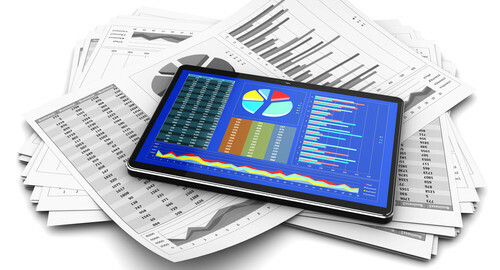 Businesses and accounting professionals have become comfortable with QuickBooks for the desktop. Still, Intuit has recently increased its emphasis on and resources for QuickBooks Online, a different accounting software product. It does the same thing that QuickBooks for desktop does – our accounting – just differently! QuickBooks Online is not a copy of the QuickBooks desktop software that has simply been enabled for the web. QuickBooks Online is new and different! Below are some features found in QuickBooks Online that you won’t find in QuickBooks for the desktop. Remote access – You have access to the software anywhere on any device that is web-enabled. Automatic Daily Bank Feeds for bank and credit card accounts. Automatic updates – QuickBooks Online is updated frequently, and you’re always on the most current version. Location tracking, which is a second level of class tracking. Invoice automation – You can automatically create an invoice from unbilled activity. Report automation – You can schedule reports to be sent automatically. These are just some of the features that I use, and there are many more. Each month more features and improvements are made. There is truly a big difference in the general workflow. QuickBooks for the desktop has some robust features that I miss in QuickBooks Online, like the multitude of reporting options and a more extensive inventory-management feature. However, QuickBooks Online has added features every day, noted on a monthly blog for users. Below is a comparison, provided by Intuit, of a few key features between the two types of software. It’s a good idea to analyze your business and how it functions to make the best choice. You can even take a test drive of QuickBooks Online. Good luck! Pat Hartley is a Top 100 QuickBooks ProAdvisor 2015, an Advanced Certified QuickBooks ProAdvisor, an Advanced QuickBooks Online ProAdvisor, and a member of Intuit’s Trainer/Writer Network. Pat teaches courses on QuickBooks at multiple colleges and runs her own business, www.accountingonthego.com. She is author of the Labyrinth Learning textbook, QuickBooks Pro 2015, and is currently authoring Labyrinth’s QuickBooks Online title. We admit, it’s almost impossible for any software user to learn every single feature, or trick, at first! That’s why it’s so important for students and professionals to continue their learning process by taking higher level computer classes and refreshers. Longtime QuickBook users can be as delighted as a child opening a present when they’re reminded or exposed to often overlooked features that make their job a little easier. Here are some overlooked features that will help your students learn QuickBooks Pro a little better. Custom customer editing. Sometimes, we need to insert information about a customer that’s not already preset in the QuickBooks Customer Field. You can click “Additional Information,” and then “Define Fields,” to add the information quickly. Multiple customer invoicing. There are times when you just need to move the invoicing process along at a quicker pace. One way to accomplish this is by clicking “Create Batch Invoices” within the “Customers” menu. This function lets you set up invoices for multiple clients at a time. Labyrinth Learning has designed our textbooks and software in a way that ensures students and employees learn QuickBooks Pro effectively. Is your business using manual accounting practices to keep track of day-to-day financial operations? If so, it’s time for HR trainers and staff to learn QuickBooks Pro. This top-selling computerized accounting software will immediately enhance the accuracy of your company’s accounting department. Best of all, you can learn how to implement computerized accounting at your local community college. Labyrinth Learning provides effective, engaged learning software to community colleges across the nation. Our QuickBooks Pro (QB) products are some of the most sought after resources on the market because they teach business owners and employees the skills they need to improve their accounting departments. Save time. Data entry is significantly faster than manual accounting methods, which increases the efficiency of your accounting department. Accounts Payable. No need to set up manual reminders or calendar updates in order to keep track of your bills. QB will help you keep track of invoices and bills automatically. Accounts Receivable. Not only is it faster to create consistent invoices and payment plans, QB will track the progress and timeliness of payments, billing, and income. Manage benefits. Benefit management is a complicated task, at best, when done manually. Once you learn QuickBooks Pro, employee benefits, vacation/sick pay, etc. will be managed for you. Reports. You can generate customized reports, in real time, to have access to critical financial information when you need it most. Don’t be overwhelmed by the idea of switching to computerized accounting methods. A few community college courses are all your employees need to transform your business’s financial outlook.